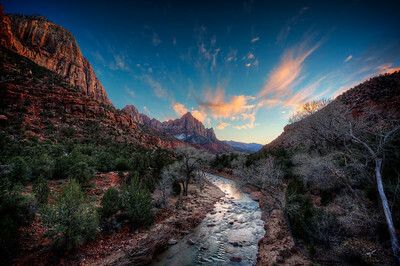 After a long day hiking and photographing in the challenging backcountry east of Zion National Park, we were rewarded with this sunset illuminating the iconic Watchman monument. 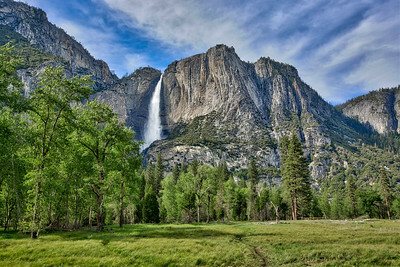 After a day of blank, grey skies, the clouds parted to add wispy drama over Upper Yosemite Fall. 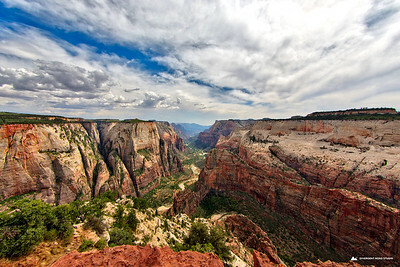 A view of the Virgin River valley from Observation Point at 6,508 feet in southern Utah's Zion National Park. 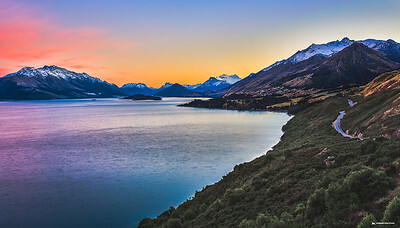 A dawn full of drama arose over Lake Wakatipu on the road from Queenstown to Glenorchy on the south island of New Zealand. These memorable clouds highlight the golden sunset on the long return drive from photographing the incomparable Toroweap Overlook viewpoint in Grand Canyon National Park. 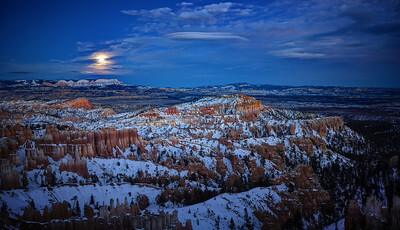 The fading glints of western twilight illuminate Sinking Ship monument as a supermoon rose in the east over snow-covered Bryce Canyon National Park, January 2015. 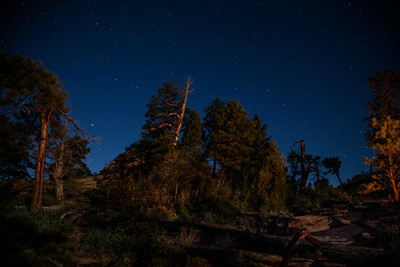 Twilight stars appear in the western sky of southern Utah's Canaan Mountain wilderness. 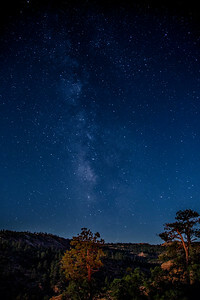 The Milky Way rises clearly over campfire-illuminated pines in the Canaan Mountain wilderness of southern Utah. The last remnants of a thunderstorm quickly move through The Remarkables, over New Zealand’s Kawarau River. 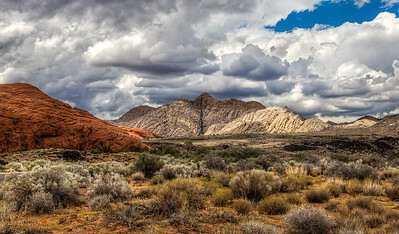 The first clouds quickly roll in over southern Utah’s Snow Canyon, announcing the beginning of 2014’s memorable monsoon season. 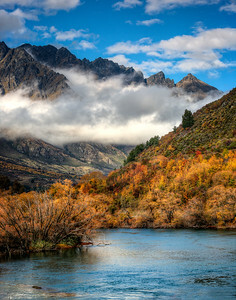 A shaft of early morning sunlight punctuates the fall colors near Queenstown, New Zealand. 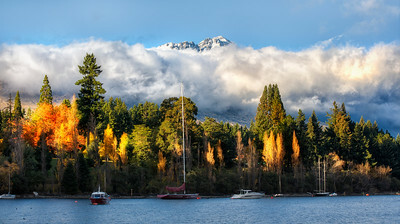 The peaks of The Remarkables loom above the morning clouds. 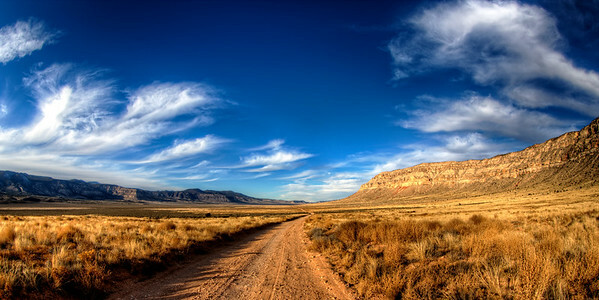 Taken on the long trek back from Toroweap Overlook viewpoint in Grand Canyon National Park, the clouds seemed to form a canopy to guide our way. 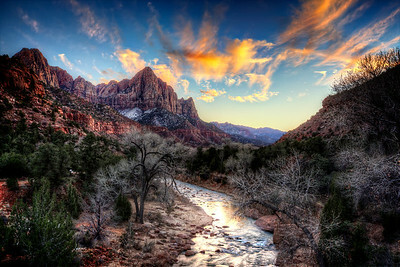 Winter clouds catch the last rays of sunlight over Zion National Park’s Virgin River. The very earliest morning light illuminates the tops of The Remarkables, overlooking Lake Wakatipu on New Zealand’s South Island. 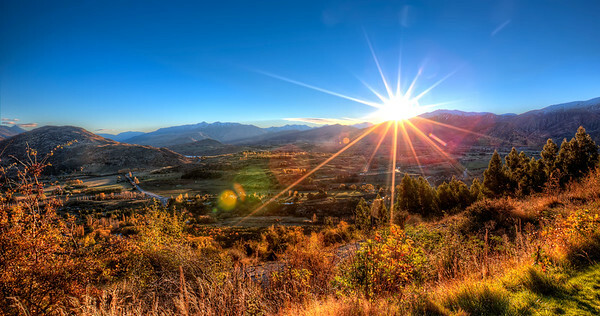 The sun about to set behind The Remarkables near Queenstown, New Zealand creates a starburst. 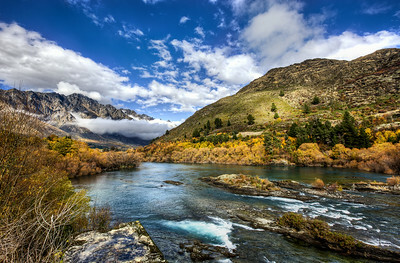 Clouds move through The Remarkables over Kawarau Falls, where the Kawarau River meets Lake Wakatipu in New Zealand’s South Island. Dawn arriving over a valley near Queenstown, New Zealand. 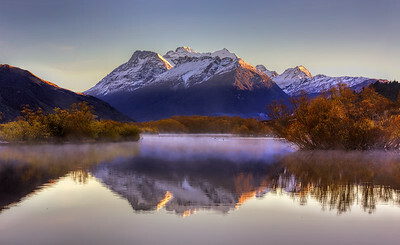 White swans just visible through the morning mist trumpeted the arrival of daybreak as sunlight tipped The Remarkables near Glenorchy, New Zealand. 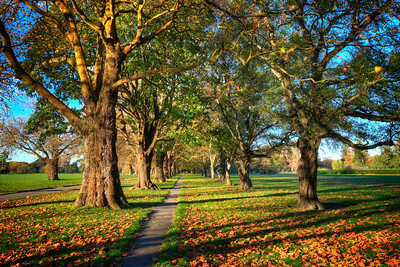 Early autumn sunlight warmly illuminates an arbored path in Hagley Park in Christchurch, New Zealand. 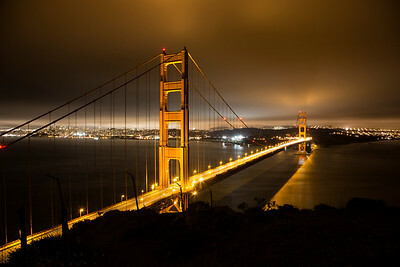 A long exposure captures the energy and motion near the Golden Gate Bridge. Château de Chenonceau in France's Loire valley welcomes visitors on a magically perfect summer afternoon. 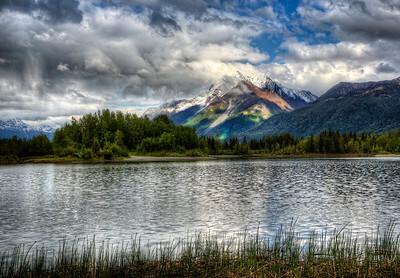 Sunlight breaks through all-day storm clouds, dramatically dappling the mountains near Alaska’s Reflection Lake. The rays lasted less than ten minutes but were worth the wait. 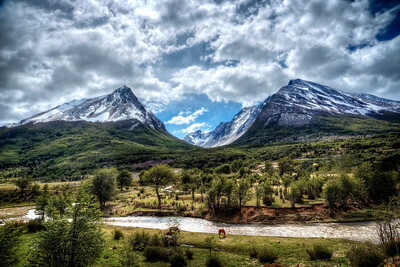 Clouds move through The Remarkables near Kawarau Falls, where the Kawarau River meets Lake Wakatipu in New Zealand’s South Island. 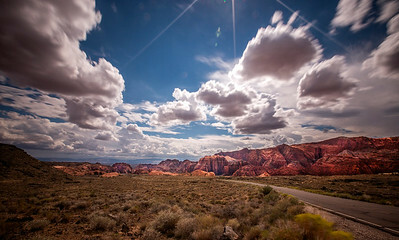 Emphasized by the otherwise complete desert silence, dramatic clouds gather over the equally dramatic landscape of southern Utah’s Snow Canyon, heralding the beginning of the 2014 monsoon season.